This is good to hear and it should b﻿e back very soon, Probably within the next few days. Well that's more information than they normally give out! I read somewhere that it had been seen testing after hours as well, so should be back in action soon! The Annual Fastrack pass allows you to experience a reduced queuing time on all Fastrack Rides at any time of the day! Fastrack is available on the following rides: THE SWARM, SAW: The Ride, Stealth, Colossus, Nemesis Inferno, Storm Surge, Rumba Rapids, Tidal Wave, Samurai, Vortex and Rush. The pass costs £400 and does not include park entry. It's unclear if this will include Fright Night events. 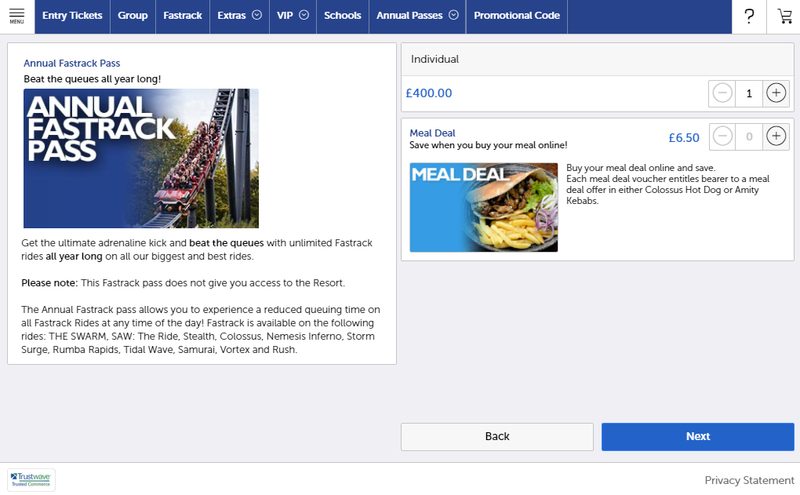 As the Thorpe ticketing page doesn't allow direct links and the ticket only shows up if you go via a certain set of links , to find the pass go to the Thorpe Park homepage and click the big orange "Buy Your Annual Pass" button at the bottom. Seems interesting that they have decided to launch a new VIP style package for just the single park, given that the VIP pass is closed due to the long waiting list (just starting my third year on it...). At £400 vs £725 for a new VIP pass and park entry not included, it does appear the pass has overall less value for money than the VIP pass. Edit: Currently there are no terms and conditions for this pass, so it seems a little strange it has gone on sale in the first place. It really doesn't make sense, especially when you add on the price of a Premium Merlin Annual Pass. This isn't good value at all! 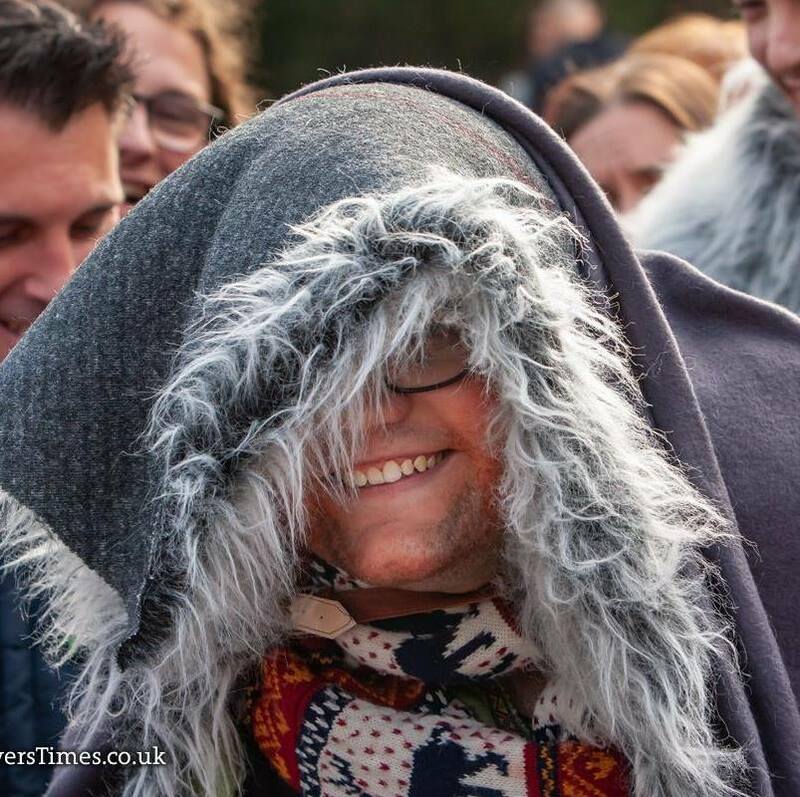 Works out great for those with a Thorpe park season pass. It don't include Ft to DBGT. I could understand if it was £200 as if you went a few times then it would be good value. But £400 is bad, considering like RoyJess said above that it doesn't include DBGT and it doesn't include The Walking Dead: The Ride. It's the exclusions I'm interested in. Currently there are no terms and conditions for this pass at all, with the only information giving a conflicting statement in saying it covers all rides but then lists a subset of them. Could easily find it has block out dates or restricting access to attractions with the longest queues like DBGT. It really shouldn't have any restrictions and be equivalent to the platinum fastrack / VIP pass, but being Merlin who knows. Selling the product without Ts&Cs in place, is just asking for trouble. Does anyone know whether Vortex reopened today? The app said it did but then it said that it shut later on again and still says it’s closed. They may have just been testing it for when it eventually does reopen. Unsure - but as it has appeared back on the app listing, it's possible we're heading towards an opening soon (if it didn't already). One of the reasons it was removed from the app listings was because occasionally it would report it was open and give a queue time, even though it was very closed. 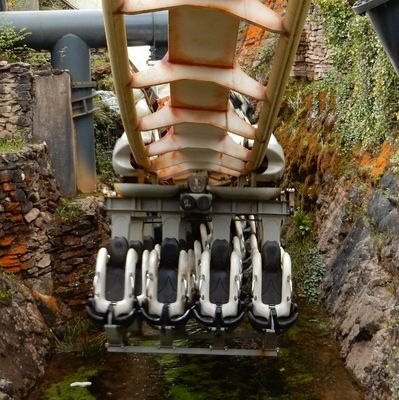 Vortex did reopen today according to a user on Twitter. Can't remember who it was that said it, but I definitely remember reading it. Umm, quickly going back to the Thorpe Park fast track pass, I think it's a good deal. It's around £90 for a full day fast track pass, so you're only really paying for 5 days of fast track. That said, the worth of money might change depending on the unclear Terms and Conditions. Surely, they're asking for trouble by not releasing T&Cs, couldn't they get into serious legal issues if they add Tother conditions after people have brought the pass? You'd think they'd have the terms and conditions, but there's nothing, the product isn't even mentioned. 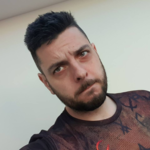 Very dodgy trading ground, especially from a company so against refunds for any reason. I asked them if they had the terms and conditions and got a curt one line, read the website response. Yeah it's not on the website... Good way to market the product Thorpe. Was interested in the pass, but becoming less so given their attitude and terrible business practice. Yep, and still they list it as the primary communication method. Watching them today, I don't think they had a single persons worth of man-hours assigned to their combined social media accounts. Having said that, they could all be assigned to fighting the fires on TripAdvisor. The Thorpe one was pretty good last year and early this year. I have no idea what happened around May/June. What I'm shocked by is how no Merlin parks have a customer service number you can call. You'd think it'd be park basics 101? But nah, get a Twitter account and text us, that's much more direct to ask questions. Alton definitely do have a customer service telephone number for guests to call. I don't know about the other Merlin parks, but I'd assume they'd be the same. Thorpe has one somewhere, but given the Twitter comments, expect it to either not be answered or for it to just randomly hang up. On the hanging up, it's unclear if that's whilst you are talking to someone. This has been a common complaint for at least a year now I believe. Thorpe Park have announced details of their Annual Pass Day that is being held next Saturday 21st July. The Great Thorpe Park Pop Swap will take place in The Hub from 12noon – 4pm but badges are on a first come first served basis! 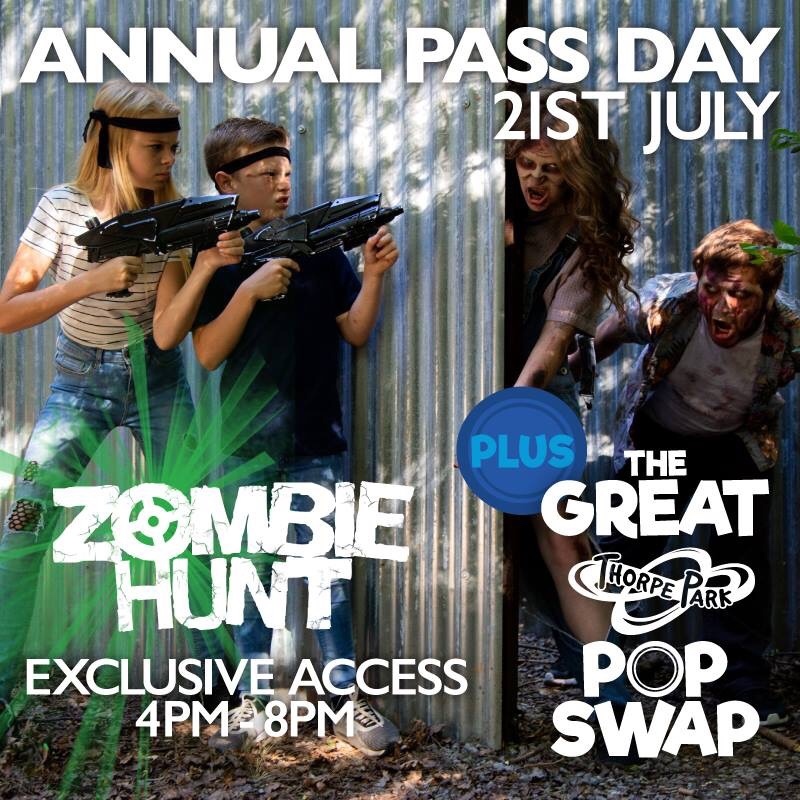 Following The Great Thorpe Park Pop Swap event, the doors to Zombie Hunt will be open for exclusive access for Annual Passholders from 4pm – 8pm! Places are limited though, so make sure you plan in advance and book your Eventbrite tickets to choose your timeslot and take on the zombies! However, if anyone was wishing to go, It appears from the Eventbrite ticket site that tickets for the event have already sold out.